Autocomplete is becoming a common feature in the tools we use in all aspects of our lives, because of it's ability to help us to type more accurately and quickly. 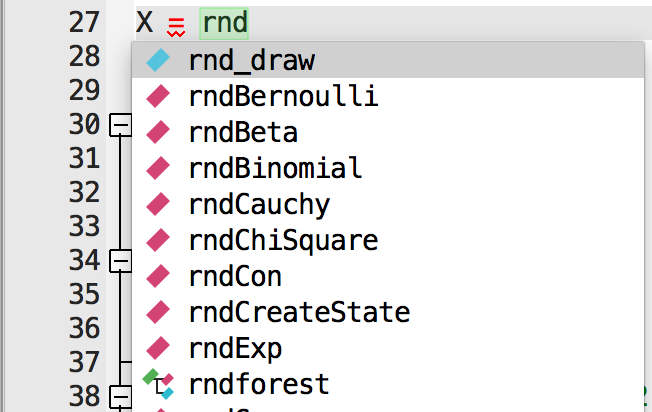 When programming in GAUSS, the autocomplete can also show you new functions you were not aware of. Today we will discuss how to use and control autocomplete features of the GAUSS editor and command window. The images to the left of each suggestion indicate what they represent. A pink bar indicates a GAUSS function or procedure, a blue bar indicates a variable and the three smaller connected bars indicate a structure. Enter Complete the selected word. Up arrow Move the selection up the list. Down arrow Move the selection down the list. Esc Close the drop-down window. You may have noticed that the command window, however, does not automatically provide autocomplete when you type. Use the CTRL+Space key combination in the command window to open the autocomplete suggestion list. If you would prefer that behavior in the editor, you can modify your GAUSS preferences to make this change. From the main GAUSS menu, select Tools > Preferences. Then when the preferences dialog window opens, select Source towards the top left as shown below. If you would like the autocomplete to be off by default, select the check-box next to "Manual only (CTRL+Space)". Then the autocomplete suggestions will only open in the editor or the command window when you hit the CTRL+Space key combination. 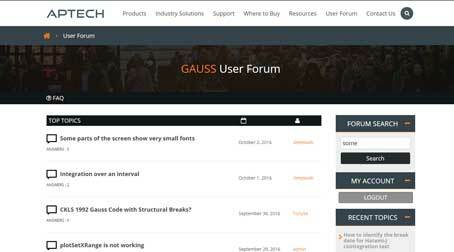 GAUSS Library - Provide autocomplete for built-in GAUSS functions. Current Document - Provide autocomplete for variables and procedures in the current file. All - Both of the above. Usually, that is left set to "All". However, if you have a file with many variables and need more help finding the GAUSS functions, you may prefer to set it to just "GAUSS Library". The keys which control the autocomplete window. How to activate the autocomplete tooltips with CTRL+Space. 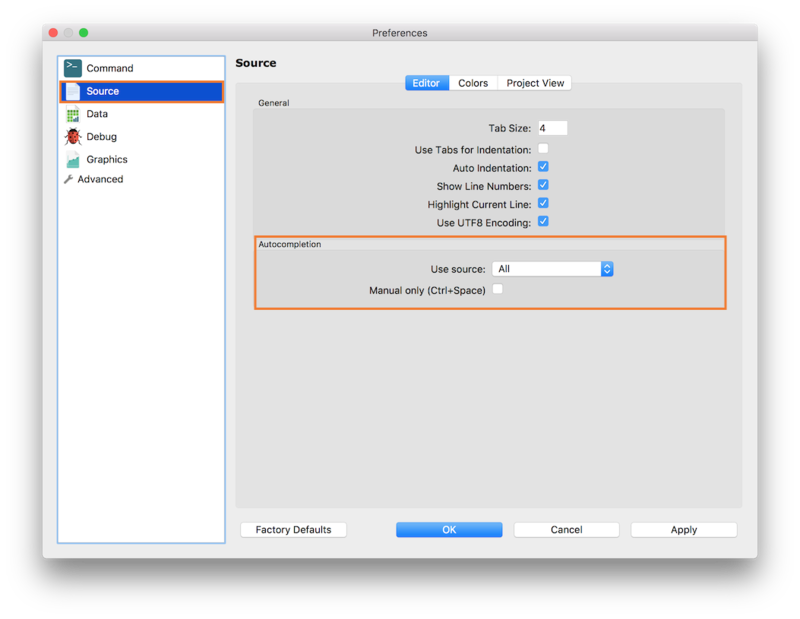 The GAUSS preferences settings you can use to control autocomplete behavior.